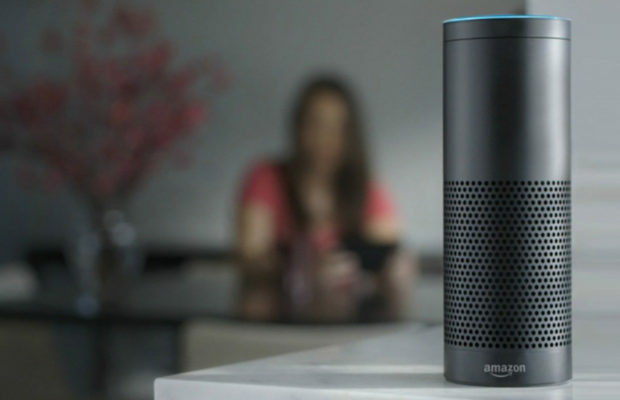 Alexa is a virtual assistant that is inbuilt in some products developed by Amazon. First time, Alexa is enabled in the Amazon Echo device. After the success of Amazon Echo, Amazon brought up the next version of Echo named Amazon Echo Dot. Both the device are the smart speakers that are capable of voice interaction, music playback, making to-do lists, setting alarms, streaming podcasts, playing audio books, and providing weather, traffic, sports, and other real-time information, such as news. Alexa can also control several smart devices using itself as a home automation system. Users can extend the Alexa capabilities by installing some skills that are the additional functionality developed by third-party vendors and some apps like weather forecasting and many audio features. The developers at Amazon introduced Amazon Alexa, the AI-powered virtual assistant from Amazon. This was first introduced in the Amazon Echo series of speakers. In this article let us take a look at the various features of Amazon Alexa. Amazon also offers various discounts on Amazon Alexa powered devices. Amazon Echo is a hand free smart speaker that enabled Alexa feature. You can control this smart speaker with your voice. With this device you can do many things like play music, make calls, check weather and listen news, set alarms, control some smart home devices, and much more. With this device, you can control smart devices like Philips, Syska, TP-Link and Oakter home appliances and many more. This device uses the Cloud-based service to make calls, play music, check weather and news updates, set alarms and so on. You can also set up answering calls and making calls by using the Amazon Alexa. You can also use Amazon Alexa to order food from Zomato or book a ride from Ola or Uber cab or book even a carpenter from UrbanClap by just your voice. The Weight of an Alexa device is just 954 grams. Some Syska Bulb has used the Alexa API and makes it competitive with Alexa platform. You can control this bulb with your voice only and switch on and off it anytime anywhere. This bulb is not just smart in technology but also smart in the way it consumes energy. You will be able to save 80 percent. When this bulb will be connected to the smartphone or tablet, it can change the color of the LED with different colors. With Smartphone device, you will be able to set timers and alarms on the bulb for on and off. This device can be paired with Echo Dot, Echo only. Amazon Echo Spot is an all-new stylish Echo device that can manage many things and is a much-updated version of previous one which is Echo and Echo plus. You can just ask to Alexa about the weather, watch news worldwide, set an alarm, play music, watch vide Also, check out your calendar, and much more other things. As an additional feature, you can now personalize your Spot with a collection of clock faces to suit your style or set your favorite photo as the background. Make video calls to anyone with an Echo Spot or the Alexa App. Amazon Echo Spot is designed to fit anywhere in your home. This device uses far-field voice recognition facility and can connects to Alexa which is a cloud-based voice service. With Amazon Echo Spot you can make audio & video calls, watch news bulletins, play music, and much more. This is a hands-free speaker. Echo Spot uses the built-in speaker or connects to external speakers through Bluetooth. You can just ask for a song, or any genre and stream music from Amazon Prime Music, and from other android app like Saavn, and TuneIn. Just like Amazon echo you can also do many things like order food from Zomato, request a ride from Ola, book a carpenter from Urbanclap, website and many more other things. This article has taken a look at some variety of devices that are enabled by Amazon Alexa. The Platform that Alexa provides transforms the way we live lives in our home. The waves of Artificial Intelligence are yet to reach other consumer products that we use. It would be great if we take part in the initial wave of Artificial Intelligence to make the work we live a better and smart one. Amazon is providing amazing products to its customers that always make a strong connection between them. Apart from the amazing products, Amazon gives huge discount on Amazon electronics that you can avail up to 80% off on top brands and products. So, just keep shopping and stay connect to Amazon Alexa.